Sean Nelson was wonderful! I am a first time Porsche buyer on a budget (not your average buyer). Sean treated me with respect & the same regard as the “high end” buyer. The dealership took the time to be sure that I was comfortable with all of the car features & comforts. Sean Nelson helped me throughout the entire process of buying a Cayenne and he was very knowledgable, helpful and made the entire experience very pleasant. 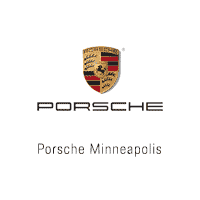 I will definitely be back for my next Porsche! Had never considered owning a Porsche and after this experience we will come back for our next car. Brian was fantastic and made the process enjoyable considering I have worked in sales most of my career and hate the typical salesman approach. The best car buying experience I have ever had. Dexter Summers is a "Keeper"!!! He really knows his stuff. A great guide to all things Porsche. And A VERY NICE FELLOW, too. He is a wonderful source of information with the process of looking, test driving, explain the differences of various models at your dealership. Angie Gustafson is perfect. Explains things extremely well. Went over each piece pf paper we needed to sign very carefully. Was helpful in making us understand what we were signing and DID NOT RUSH us! (even though the show room was closed and we ran over the closing by almost 2 hours). The showroom was always clean and tidy. Each of the sales floor staff made sure that we had been helped and that they were willing to help in any way they could. We are moving up from a (stupid fast) Audi S5 2 door, into the Panamera 4 four door. I've admired this car for quite awhile. Might take several years to wipe the smile off my face! Brandon was great to work with and gave me excellent customer service. I will definitely refer him to my friends, and am happy with the service I received! Brandon Housman was so very helpful in my first leasing experience. I am so appreciative of the excellent professionalism and customer service I received. I will definitely refer him to family and friends! I stopped by for a part and the sales person there was fantastic. Very friendly and helpful. Brian Gottschalk did a super job getting me into a vehicle. I would definitely recommend him for anyone looking for a dream car. Thanks Brian for going above and beyond in customer service! Brian Gottschalk, did a wonderful job getting me into a Beautiful GTS Boxster...answered all email requests promptly. Highly recommend you talking to him when shopping there. Thanks again Brian! Looking forward to talking to you on return visits.